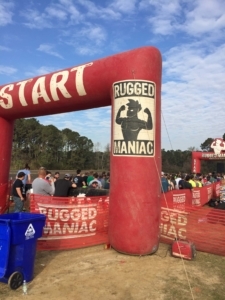 Rugged Maniac launched it's 2018 season as it has in years past in Mount Pleasant, South Carolina. This year it landed on St. Patrick’s Day, which made the free beer at the end seem even better and colder. The venue was the same at historic Boone Hall Plantation. The course winds through well-used paths that the plantation uses year round for things like tours and haunted hayrides. Pull Your Weight had runners pulling a ship’s chain attached to a rope up about 12 feet up a pulley. Sled Dog had the maniacs pulling a 45lb weight attached to a wooden sled about 30 feet towards them via a rope and then dragging it behind them to its original starting position so it was ready for the next maniac’s turn. Mind the Gap was probably the most fun It was a zip line that made you get a running start for momentum – from the near side it looked like you could make it all the way across the water… NOPE – you hit the end and flopped into the water anyway! In my opinion, the best and most challenging addition this year was Full Tilt which was basically a long ladder about 8 feet off the ground hung horizontally on a pivot point. On the front half you were climbing up at an angle, then the ladder pivoted and on the back half, you were climbing at a downward angle. 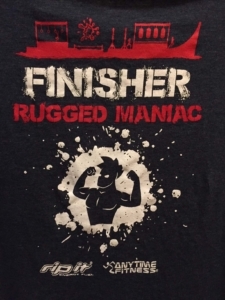 I have run this location of Rugged Maniac 5 or 6 times. Each year they change just enough and add just enough to make it worth coming back. 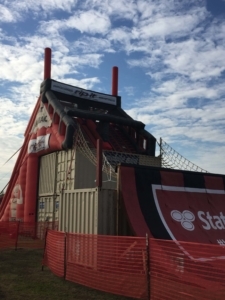 It’s a fun entry level race accessible to any level of fitness. 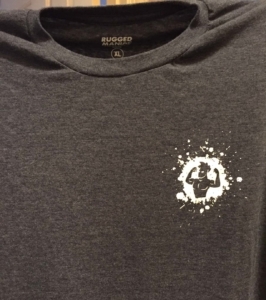 This year the T-shirt design changed as did the finisher medal. Both of which were much needed and well done. I for one was tired of “I’m a Rugged Maniac” across the front of each shirt. The new medal was pretty cool also with small depictions of obstacles around the perimeter of the medal and the back of the new shirt has the obstacle montage on top as well. Well done. Overall I give the race 4 out of 5 stars. 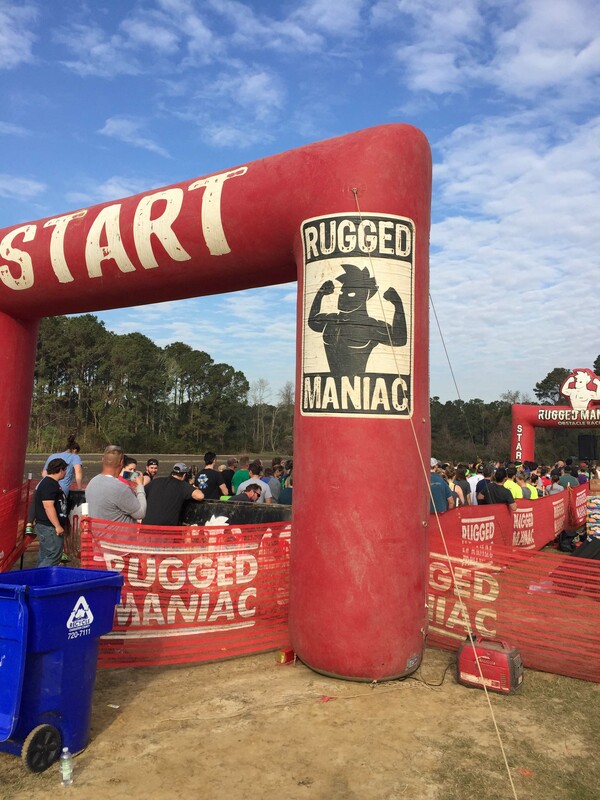 Rugged Maniac is not nearly as challenging as a Spartan Beast or a BoneFrog Challenge… and they’re OK with that. 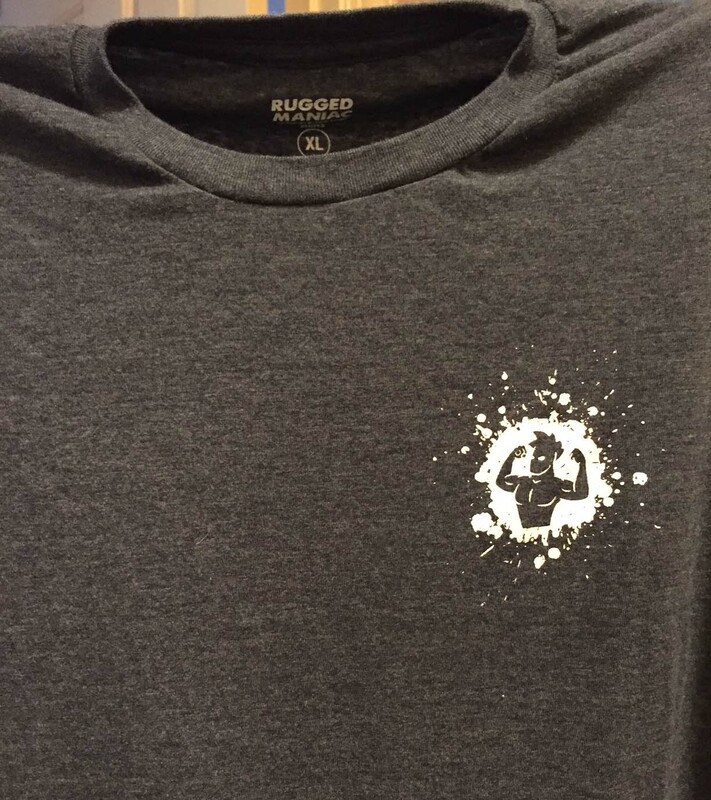 In fact, I came into this OCR season about 25 pounds lighter than I have been in many years – yet comparatively, I was very out of shape and not as strong as I have been in past years. 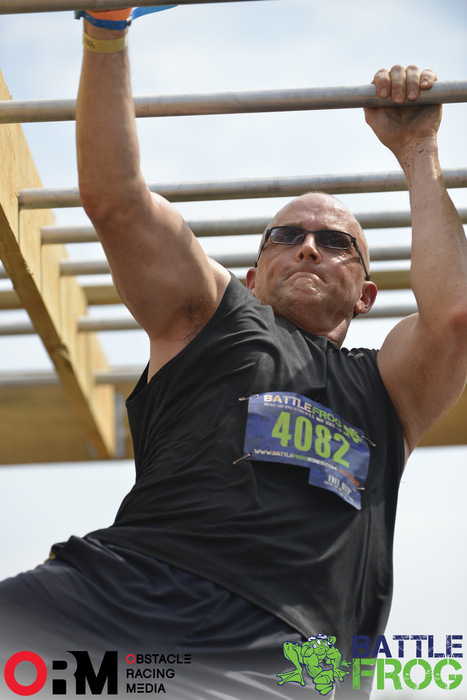 Regardless, I was able to complete all obstacles and finish in a respectable time. 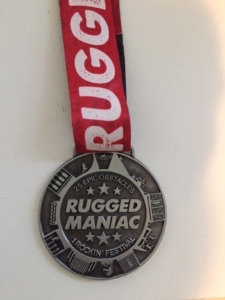 Rugged Maniac continues to be the premier entry level OCR. I recommend Rugged Maniac to friends of all ages, shapes, and sizes. It’s a blast year after year.